Obair’s Environment Department continues in providing opportunities to people in the local area who may be experiencing social isolation, such as the elderly, people with disabilities and low income households. The Environment Department is heavily involved with the elderly population of the village through projects such as support for Senior Alert alarms. Offering a more human approach, we continue to help those experiencing social isolation through the preparation and delivery of the South Clare Meals on Wheels. Furthermore we provide weekly transport to ensure that members of the elderly community are able to avail of social meetings and clubs such as The Going Strong active retirement group. In a smaller way the Environment Section also looks after areas of landscaping and light maintenance services which we continue to offer these services at low competitive rates, providing a trust worthy service to the community. The Environment section more recently assisted in work that was carried out on the Mill Race stream which runs through the O’ Regan Park. 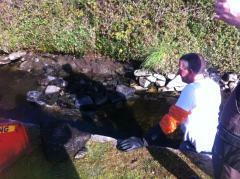 Deflectors were placed in the river under the supervision of the Inland Fisheries Ireland. This type of conservation work is very valuable in sustaining our beautiful amenities in the village. We recognise that members of our community have different needs and strengths. 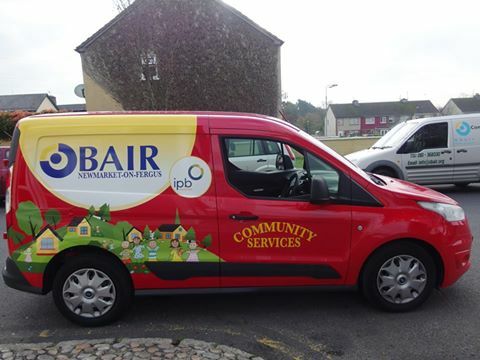 Obair Environment provides a range of opportunities to local people who face challenges, such as coming from disadvantaged backgrounds as well as those experiencing social isolation, such as the elderly. We also work in conjunction with the Tús initiative, a community work placement scheme that provides opportunities for unemployed people. This, in turn, benefits community and voluntary organisations in both urban and rural areas. 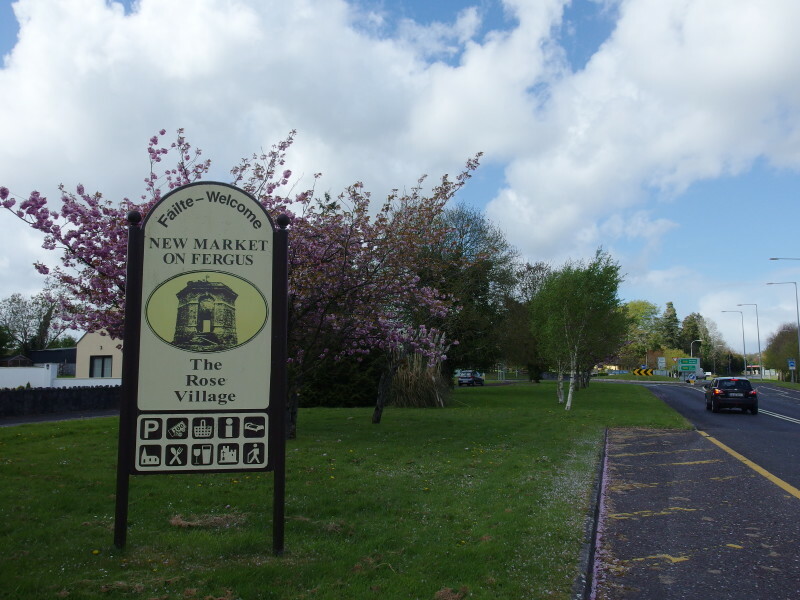 Obair Environment supports the local community groups by keeping public areas clean and litter free, as well as helping to identify the key environmental issues of our village. We also work closely with residential associations to assess the needs of the area and to prioritise their objectives in meeting those needs. We also carry out daily maintenance and upkeep at O’Regan Park Playground and Recreation Area. Although Obair Environment revolves around elderly and environmental issues, we are flexible in our approach to the work we do, and collaborate closely with community members to identify and fulfil their needs.